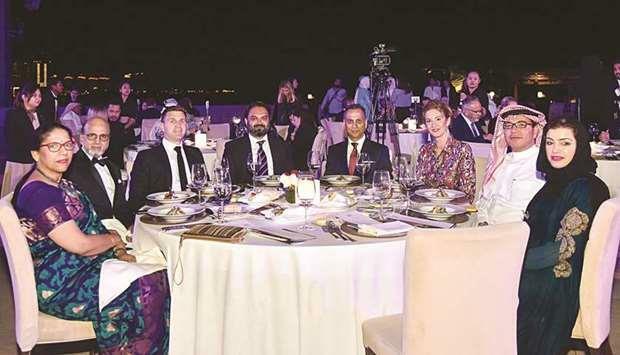 (MENAFN - Gulf Times) Travelex Qatar participated in the recently held Qatar British Festival, where it was able to raise awareness about new launches and reveal plans to expand in this fast-growing market. The fifth annual Qatar British Festival was officially launched by Ajay Sharma, British ambassador to Qatar; along with Dr Khalid bin Ibrahim al-Sulaiti, general manager of Katara-the Cultural Village Foundation; and Sam Ayton, director, British Council Qatar. Travelex Qatar is a subsidiary of the leading British forex company Travelex. The Qatar British Festival, organised by the British Council in partnership with the British embassy, is a celebration of the long-standing relationship between Qatar and the UK. Each year, the festival gives attendees an opportunity to enjoy a series of fun, educational and creative events through culture, sports, business and more. Building upon four successful editions, the British Festival's fifth edition featured 20 live events, panel discussions and a Guinness World Records public artwork. On her part, Ayton said: 'The British Council is proud to bring the fifth British Festival to audiences in Qatar. Through this festival, we aim to connect audiences in Qatar with some of the best contemporary British arts, while helping families discover the fun side of culture and learn something new. Travelex has been one of the most influential British companies in forex and we are happy that it has shown keen interest to be a part of this much-awaited festival that binds the culture, education and sport of two countries together. 'In the coming years, we are confident that more and more organisations will come forward to be a part of Qatar's growth in culture and sports sectors through this platform. This year, the festival reached 60,000 people in Qatar building on existing partnerships and forging new collaborations, Travelex Qatar said in a statement. There are Travelex stores in five locations in Qatar — Hamad International Airport, Doha Port, Industrial Area, Doha Souq Al Badi and Mesaieed.